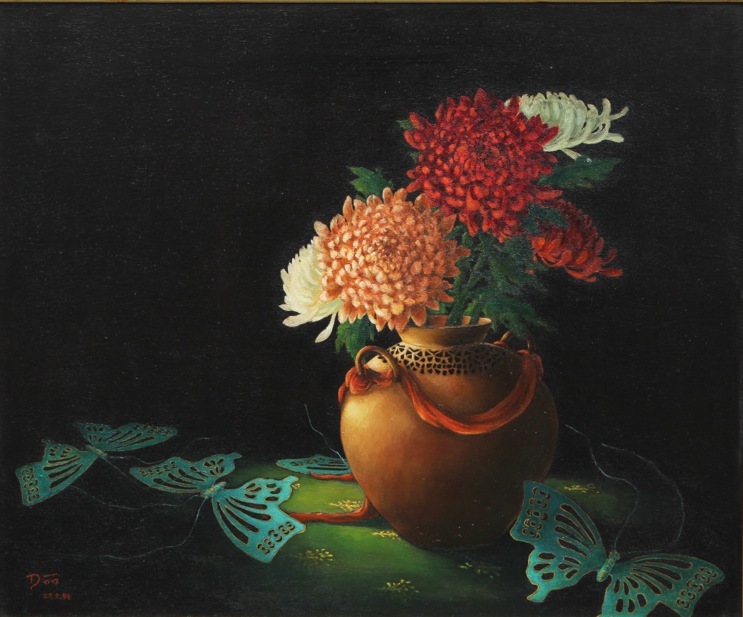 A graduate from the Nanyang Academy of Fine Arts, Tan Juat Lee has distinguished herself in the local art scene after bagging the prestigious Grand prize in UOB Painting of the Year Award in 1997 and 2004. 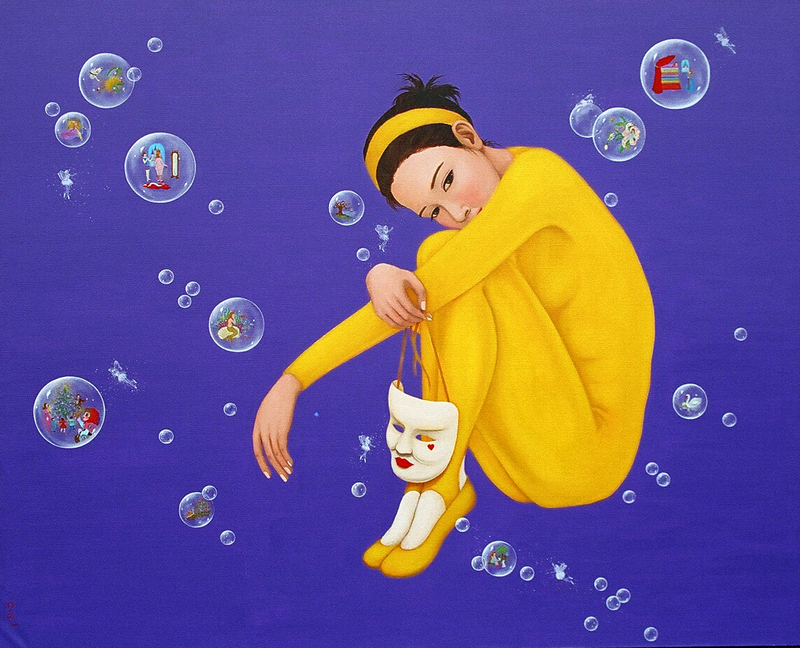 Juat Lee’s style is distinctively precise and impeccable and her use of colors, brilliant. Her canvases are dominated by vermilions, reds, purples and yellows. 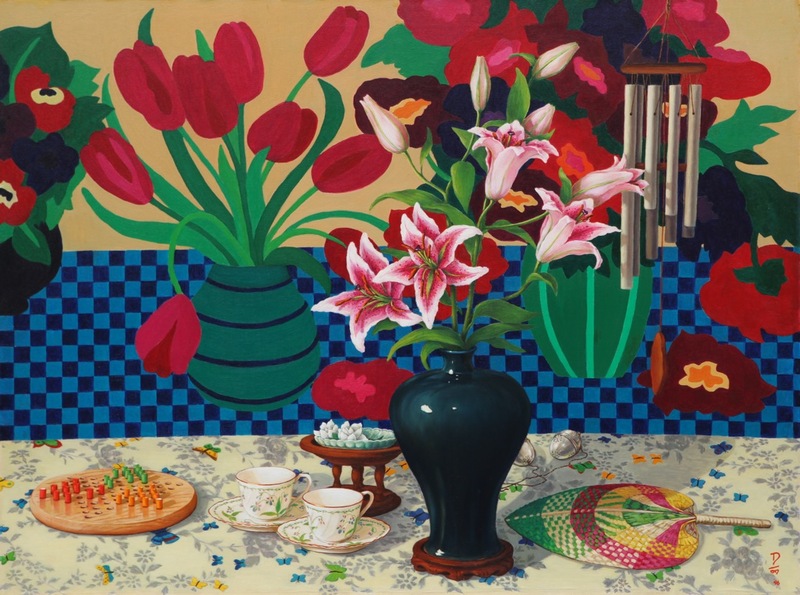 Her paintings evoke the blessed life reminiscent of the oriental world of yesteryear. 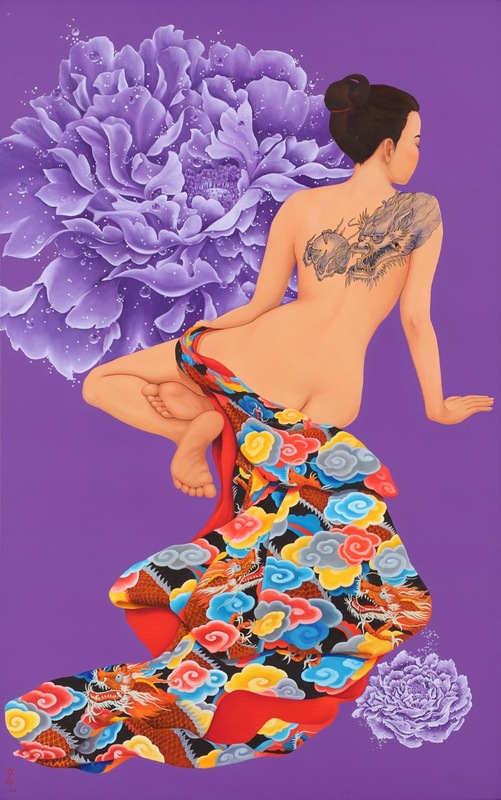 .Juat Lee likes to enhance her paintings with symbolic features of “butterflies” (fortune), “peonies” (prosperity) and “pomegranates”(fertility and abundance). Therefore, owning a piece of Juat Lee’s works is as though one is bringing an auspicious and beautiful object into one’s life. In her most recent series, Juat Lee makes her statement for the contemporary woman who “should live her own language, she should be free and unfettered, graceful and charming, and her independent spirit should be wise and filled with courage”. With eyes closed and deep in thought, she focuses within her own space. The wandering goldfish that hover in the background symbolizes happiness which the feminine sprit seeks. 2002	Singapore Japan Art Exchange Exhibition in Japan.